VIDEO REVIEW- A big ol' book of wood finishing wisdom! Watch it here, and enjoy! Then come back and leave a comment! Nice review; concise, detailed and tells me why I should purchase this book. Or better yet, why I should hope that my wife purchases the book for my birthday – grin. I have a number of good finishing books. Charles wrote this book twice! I had pre ordered it and my impatience got the better of me. Things are changing in the finishing world. Environmental laws have stopped many of the finishes “Old Timey Woodworkers” have used. I’m not ready yet. I do have an HVLP sprayer set sitting in a box. But it was great to actually see the book. Charles worked hard on this and it will be his legacy. Good job in the review! I haven’t yet read the entire book, but what I have is very informative. This is a book written by someone who gets his hands dirty and isn’t a dilettante just pretending. Lots of hard earned knowledge and information is shared by Charles. Thanks for your review, even if you beat me to it. Charles took a while to get it out, but now that I’ve read it I wonder how he got it done so fast! It’s literally covers everything! I’m not sure that I can read and follow the info in this book…. Thanks for taking the time to do the review…. 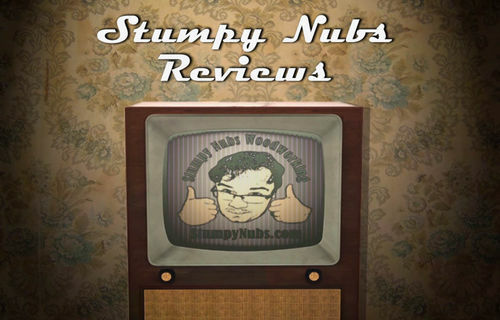 Even your review vids are award winning Stumps. So what did you finish, with the finish book? Hot chocolate, cold chocolate, or what? I’m at the edge of my recliner. Thanks for the great review! I’ve gotta get me a copy! Good review Stumpy, you showed but did not mention an important feature of the book. The spiral binding will allow the book to “lay flat on a work bench” and the pages are quality “thick stock” paper. I’m lucky to live about an hour south of Charles and stopped in to buy a copy but they were sold out – go figure, so waiting for a call when the next printing arrives. Great review Stumps. Looking forward to getting a copy.